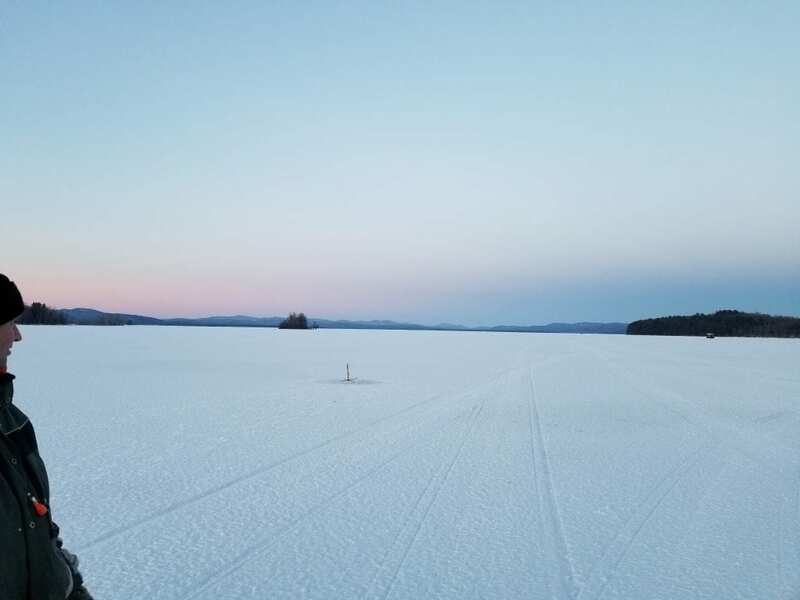 The Sacandaga froze early this year (right around Thanksgiving) and it looked like it was going to be a blockbuster winter. 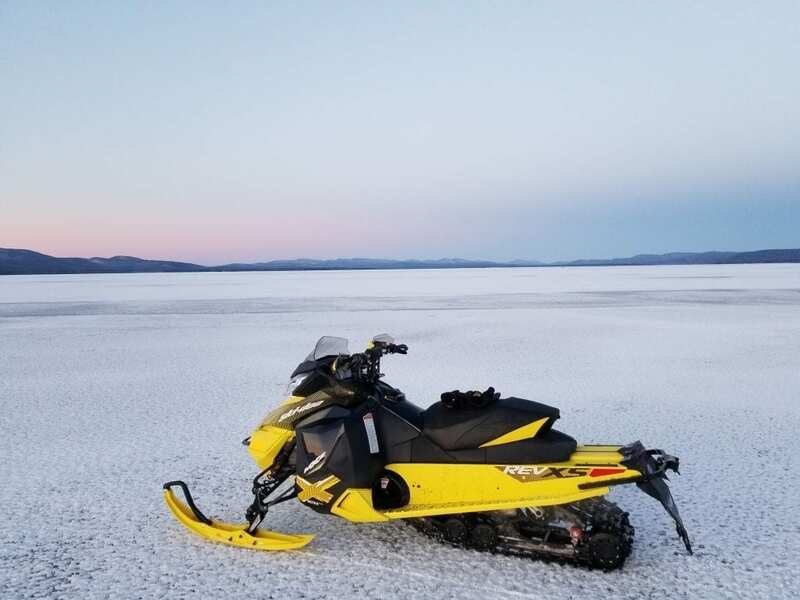 Then the rain came and the lake went up 5 feet since it froze and 10 feet up since my lake report on labor day, crazy year. This caused 6 inches of good ice in the middle but open water or very thin ice around the edges. caused a lot damage to docks. Now that the cold weather is back that has all changed. The edges are froze with 7″ of ice and there is 10″ where it was already froze in all the spots where i checked. By Sport Island Pub there is 12″ and there was a pickup truck on the ice by Northampton campground. Its good clear black ice with just a little frozen snow on top. There are 3 caution spots i found, one is from the point of Griffis road heading towards Scout Island back toward Lasky’s marine. This is nothing new its thin or open there every year. The second is close to Sinclair point on the northeast side its froze but thin, again nothing new same every year. The third spot is new though. There is a spot on the northeast side of Beacon island aka: (Yacht Island) running towards Sand Island and Broadalbin that is open and it’s the size of a couple football fields. This is in the area of the trap islands and, I believe, it’s due to the high water. Luckily not much of the main traffic ever heads that way. This morning though ice fisherman told me it finally froze last night. Use caution under the Batherleville bridge but ice is good all the way to Ponderosa pines. I never went further then there. where else for that matter. They are dropping the water now though 2″ a day so conditions are going to change fast. The water has only froze this high one other time in 1995 that i can remember so it’s going to feel like a whole different lake to most people. 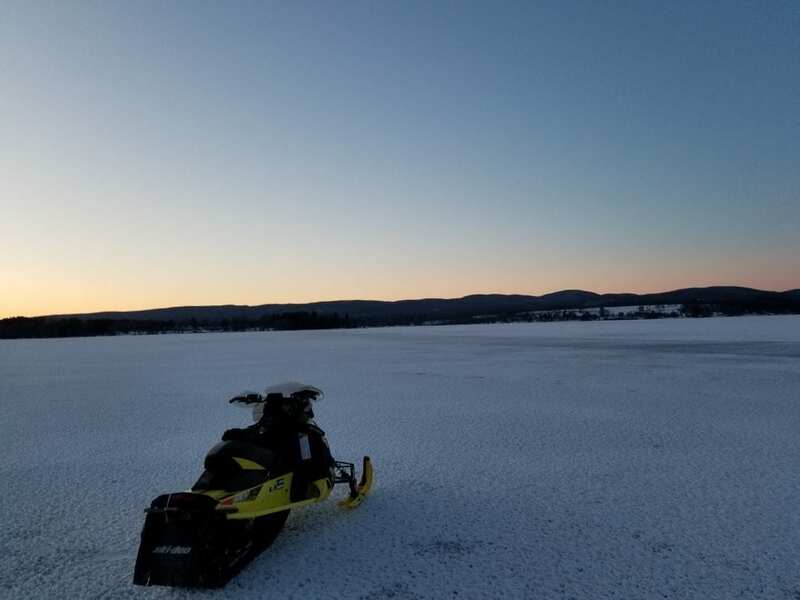 You can fish in bays and back waters that are usually dirt, and there are no rocks or islands sticking up where they normally are for snowmobiling. It’s also perfect for getting your shanty out before it snows. 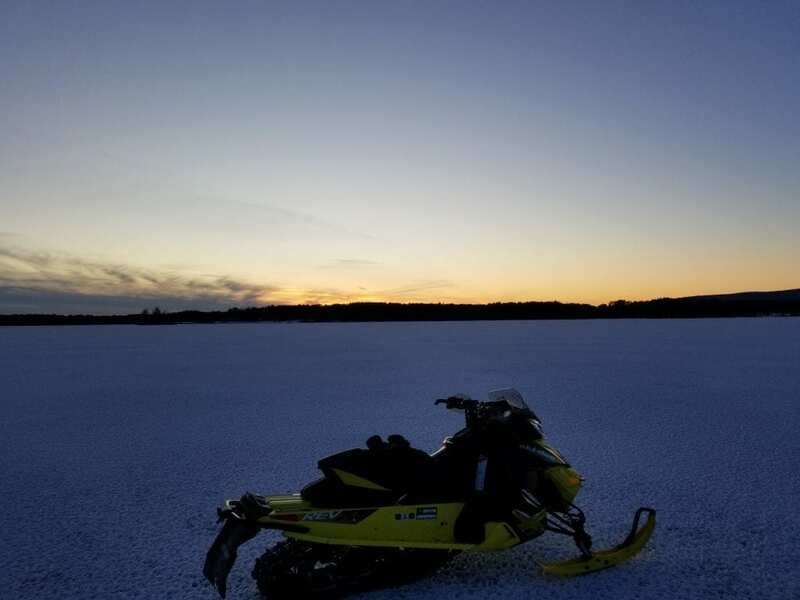 Its flat ice with just enough snow for lube but not enough to slow you down. 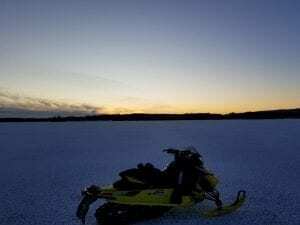 get you all wound up……SELL YOUR SLED. Walleyes been biting best at first light and again between 4-5:30 in the afternoon, The big pike have slowed down, perch have been a few here and there, and no reports of trout.